Direct and undeviating. Powerful, soft, potent, and mesmerizing. I looked into his eyes for just a few seconds … and that encounter burned into my heart like nothing I had ever felt. Every time I return to those eyes, I sense the presence of a mysterious gateway. I fell in love with him in Kanana on the Okavango Delta a few weeks ago. Our gaze lasted just long enough for me to melt into the contact with him, while at the same time remaining fully aware of the unbridgeable divide between us. My words fall by the wayside as I let his eyes speak in their own regal way. Every garden is a work in progress. And for three hundred years, the seasons have rolled around as generations of gardeners have developed and tended the Kew Royal Botanic Garden. If indeed, the garden is a metaphor for the gardener, then Kew is the perfect opportunity to meet the British love and respect for nature. In addition to being a flower wonderland, Kew is a world-class botanical research center. Its extensive scientific resources are focused on finding solutions to the global challenges of biodiversity loss, food security, poverty, disease, and the changing climate. Kew’s Millennium Seed Bank Partnership is the largest plant conservation program in the world. The Seed Bank focuses on saving plants faced with extinction and plants that hold the most potential for future benefit. Working with partners across 80 countries, they have successfully banked over 13% of the world’s wild plant species from regions most at risk from the ever-increasing impact of human activities. Each day, throughout the world, four plant species are at risk of extinction. You can participate in saving them by joining the Kew Adopt a Seed program. A glorious peony and two magnificent purple irises in full bloom. Mysterious lavender flowers with lovely yellow hearts. A peony variety remarkable for it’s pure simplicity. come into bloom, they are brought here for visitors to enjoy. I love these wild haired individuals. I became so enthralled by nature’s unrestrained designs that I forgot to note down botanical names. To feel better about my lax attitude, I tell myself that these flowers do just fine expressing their unique personalities without knowing that we humans have given them names. studying the abbey’s lace-like silvery stone. in a past century, in a bygone life. to the naive young girl that I was then. it faces the four corners of the land. a resounding symbol of immutability. for there is in London all that life can afford. 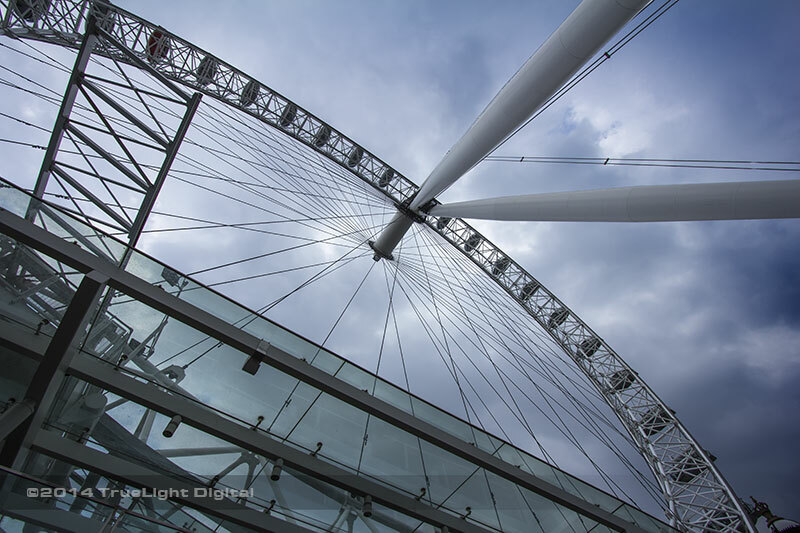 During our stay in London last week, we took a break from photographing flowers to ride on the iconic London Eye, Europe’s tallest observation wheel. We joined the 3.5 million annual visitors eager to experience the city’s most popular paid attraction. The Eye is quite an engineering feat. Cantilevered over the Thames and supported by tensioned steel cables, it looks like a giant bicycle wheel. 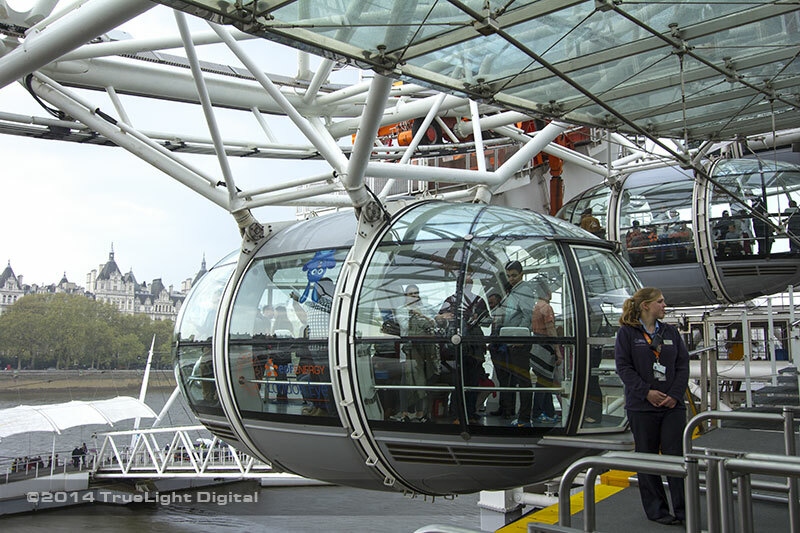 Each of its 32 pods hold approximately 25 people, which means that at any one time, the wheel is carrying some 800 people. That’s approximately 10,000 people a day. Apart from the fact that it began to rain just as we boarded our assigned 10 ton egg-shaped glass capsule, the ride on this huge loop in the sky was quite fun. Quiet fun, that is: no speed ride here, no heart-into-your-throat breathless screams. The Eye rotates at the leisurely pace of 10 inches per minute. Looking at it from the ground, it barely seems to move at all. Nonetheless, once settled in our glass pod, with a foggy London skyline at our feet and looking into the distance some 40 kilometers, the 30-minute revolution went by in a flash. Dangling in our pod like a ripe berry, every moment became magnified. As vista upon vista unfolded, the slow inexorable pace gave rise to a surreal altered state. The incremental yet relentless pace of the Eye merged with an image of the wheel of time to remind us that, as always, time cannot be paused. The challenge remains to enjoy memorable experiences in the all-too-brief moment. 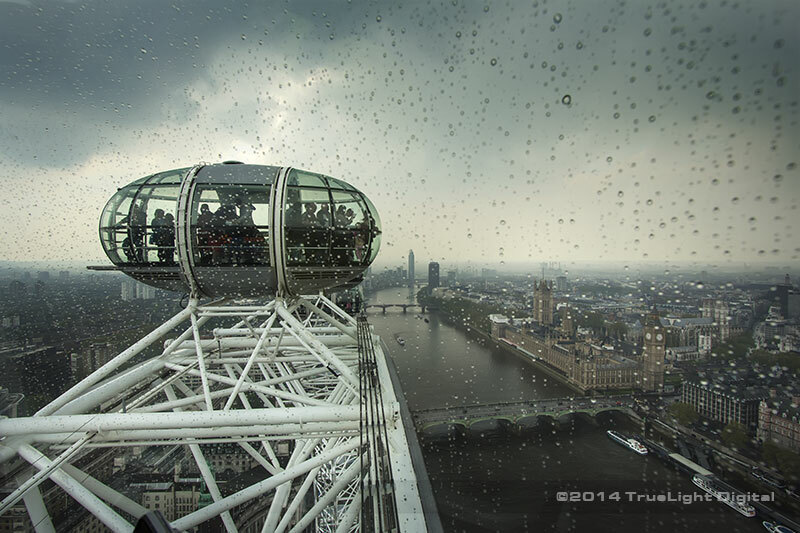 The rain intensified as we reached the top of the wheel, adding a thrilling touch of drama to this peak moment. A great breath of freedom filled our lungs as we rolled over the crest. Even though the fog and the water droplets on the pod’s surface marred what we had hoped would be perfect aerial photographs, the moment at the top, which lasted but a few seconds (isn’t that the way of life? ), gave us a new sense of connection to the city below. Having seen the city from such height, we landed no longer feeling like strangers in a strange land: the river, the Parliament Buildings, Westminster Abbey—all had become part of a Harry Potter-like Gothic tale which we were eager to explore. 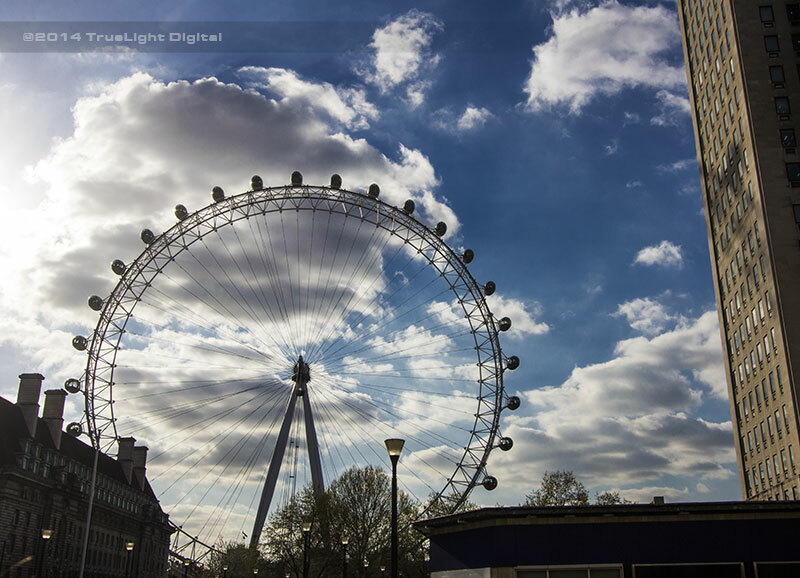 With this newfound sense of curiosity and intimacy, London was becoming our friend. Not surprisingly, the rain stopped and the sun came out just as we exited the pod, a perfect welcoming return to the world of reality. How Do Flowers Heal Us? I have read that flowers have healing powers. Yes, conceivably. But how do they heal? I am curious how it is that a flower could hold healing for me. Or for you. It just happened. 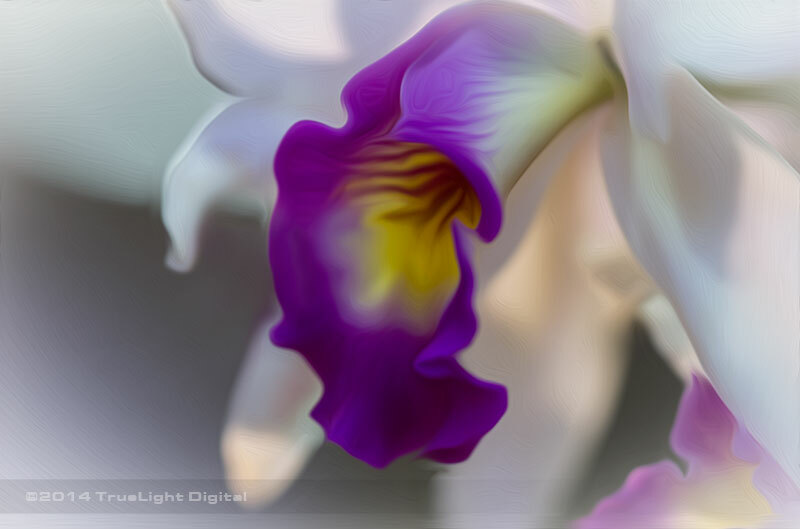 A chance encounter in a Venice garden brought the powerful splendor of flowers into focus. It was as though we could hear them speak ― not in human language of course, but they spoke nonetheless. A poppy’s soft creases demanded a click of the shutter. An orchid enticed us to lean down and look more closely into its secret recesses. In the presence of a peony’s effortless beauty, our heart rates slowed and a calm spread outward from heart to fingertips. All we know is that each encounter with a new flower brings an effusive WOW! Their radiance lasts only a few days but is worth every moment. In truth, understanding the healing power of flowers is an ongoing exploration. Even so, we can feel their effect in small and gradual inner changes: a little more joy, a deeper capacity to value the ephemeral nature of life, a growing trust in goodness and renewal, and with each witnessing of a full bloom, a quickening of creativity. How do you experience the healing power of flowers? to bring out the essence of the flowers’ energies. As an impressionable teenager, I was fascinated by Alexandre Dumas’ The Lady of the Camellias. What struck me then about the book’s heroine, Marguerite Gauthier, a courtesan, was that she wore a white camellia when she was available to her lover(s) and a red one when her delicate condition precluded making love. I had never seen a camellia which made the flower seem all the more exotic to my young romantic imagination. Still today, I associate camellias with secret lovers and the ephemeral nature of seductive beauty. Here are our photos of this year’s blooming camellias inspired by Dumas’ quintessentially feminine Marguerite. Every time I look through the photos we took on our trip to the Sequoias, new wonders emerge. And so, this is our third consecutive blog about the great trees. I noticed that we took a lot of photos of the base of the Sequoias. Nothing I can say quite expresses the feeling that overcomes me when I sit at the base of an imposing centuries-old redwood. To me, they are the GREAT MOTHERS of our planet. Harm one of us and you harm all living beings.